We are determined to avoid the trap that many tech houses have of assuming they know what their customers think and want, and build their software that way. 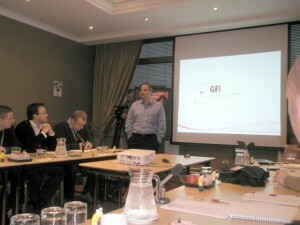 So recently we gathered a group of GFI MAX customers together and held our first Advisory Council. This was a healthy mix of customers, both well established Managed Service Providers and traditional break fix guys. They flew in from across Europe to meet in the beautiful city of Edinburgh. It was a great session. We covered lots of ground. It was good to see that many of our assumptions proved right, but there were a couple of AHA! moments also. You know the comment that makes you stop and think. 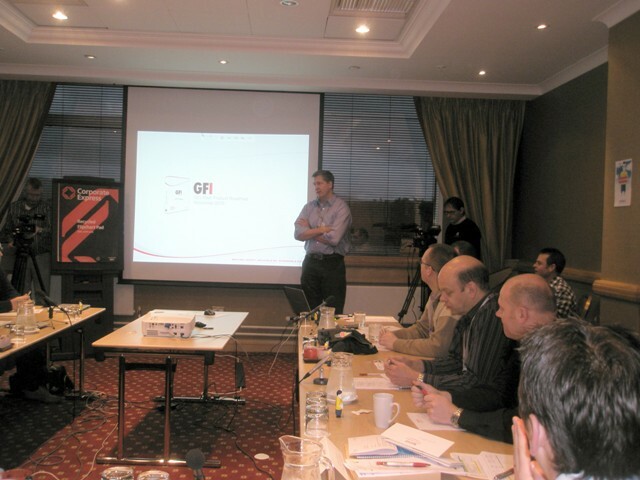 One of the attendee’s was answering a question about how they ran their support operation and he said something which made me nod as I did exactly the same thing in my previous life running a Managed Service Provider (MSP). When questioned about the ‘shape’ of his technical team, he said it was upside-down in comparison with most other IT companies, ie: it was full of highly competent and experienced people, and these people answered the phone and dealt with customer issues and less experienced guys did projects. Traditional wisdom would be – get less experienced guys answering the phone and only bothering experienced guys with really big problems, ie: a tiered first/second/third line approach. This guy ran an incredibly impressive operation and was able to offer IT support profitably, for an astonishing price. He was scaling his business rapidly and his customers loved what they were doing. He was absolutely on the ball and I enjoyed chatting to him. I guess what he found out (as did I) that cost of re-work, customer’s ‘progress chasing’ or having three or four cuts at solving a user problem made him much less profitable and more importantly was exactly what his customers didn’t want. To relate a bit of my story, I had a guy in my IT Co who spent a lot of time interviewing our customers and we arrived at the conclusion that in terms of support, our customers wanted ‘fix my problem quickly, fix it first time, tell me what it was and how you fixed it, and tell me how I can stop it happening again’. So, speed and first time fix was incredibly important to customers when asking for IT help. Having a tiered first/second/third line support operation, passing requests up to the ‘cheapest’ person who could fix them was delivering the opposite to what our customers wanted from us. Not only did this ‘tiered structure’ annoy customers, it caused ‘failure demand’ to be placed on our system. Failure demand is ‘demand’ placed on our business when we didn’t do what our customers wanted when they wanted it, eg: chasing progress, complaining something hadn’t been fixed or another technician having a second go at a problem. The cost of this failure demand is astronomical, interrupted us from delivering what our customers wanted and it was often frustrating for our technicians. This whole thinking is part of an approach to services called ‘Lean Services’ where a whole business process is re-designed to eliminate ‘wasteful’ work – and ‘wasteful’ is determined in the eyes of the customer. For an entry point into Lean Services, look here: http://en.wikipedia.org/wiki/Lean_services. I thought to myself, ‘if I was still running a Managed Service Provider’ – I’d be afraid of that guy because he really understood how to deliver fixed cost IT support profitably and in a way his customers loved. Managed services are the future of computer repairs. Preventing problems is far more profitable than the break/fix model. My clients love knowing that their systems are taken care of for a flat rate with no more outrageous bills. I have less emergencies since I moved to the managed services model. Hallelujah! Someone finally “got it.” We who have stopped calling support lines long ago because so-called “level one” support was more insult than assistance cheer on the champions of lean services. How was this predicament created? Nari Kannan, CEO of Ajira, contends that the problem stems from the misapplication of the manufacturing paradigm, which assumes efficiency is the same thing as effectiveness. Just as another idea …. we had a mixture of clients on break / fix and managed services, purely by their choice. If they were, great. If they weren’t they seemed to be more happy waiting their turn because they elected to. Clearly the £250 can be altered depending on the impact.